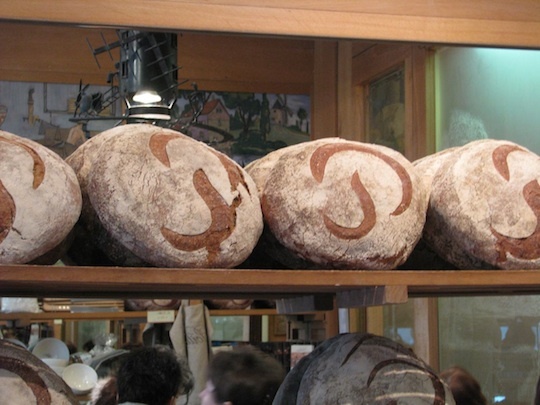 Yesterday, CBS Sunday Morning reflected on the life of Parisian baker Lionel Poilâne who passed away in 2002 and left his daughter Appolonia his eponymous Parisian boulangerie. 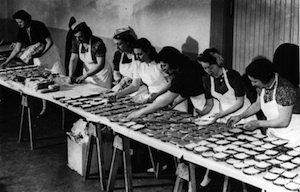 Throughout the segment, Dorie Greenspan reminisces on Poilâne's single-handedness in the kitchen, what makes waiting for his cookies such a punishment, and the growth of the "manufactory" - a baking facility in Bièvres where the bakery's wood-burning ovens are replicated for mass production. Video below.